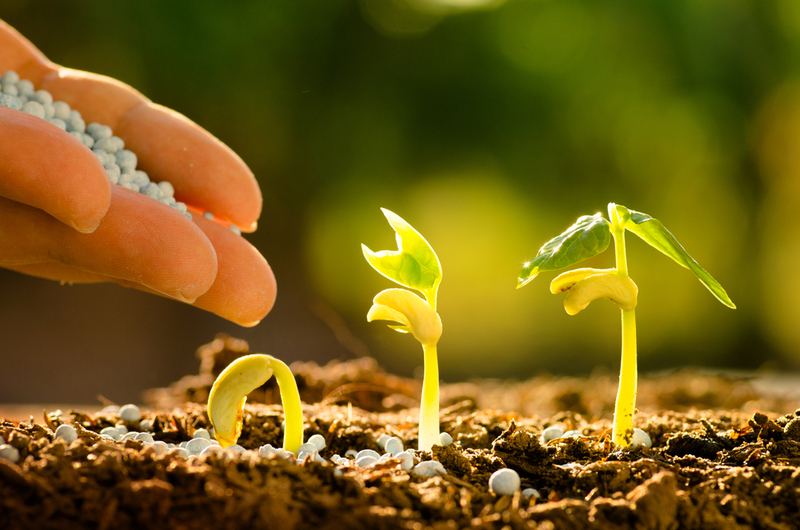 Nitrogen fertilizers sustain half the human population alive today, yet so few realize its importance across all aspects of our environment. My great-great grandfather was an innovative farmer. Working the sandy soils of North West Denmark, he was still able to produce a plentiful harvest of wheat and vegetables. The secret behind his success laid in the farming practices he used on his land. Instead of animal manure or crop rotation for soil enrichment, both popular at those times, he used a new, strange looking man-made fertilizer which he applied to his fields under cover of night to avoid unnecessary attention from neighbors and competitors. Nitrogen fertilizer, so common to agricultural production today, was quite a novelty back then. But since 1908 when Fritz Haber invented a method to convert atmospheric nitrogen into nitrogen fertilizers, later scaled-up by Carl Bosch, the application of nitrogen to fields has become ubiquitous, allowing for a tremendous increase in the production of various grain types. This has had a boon for human societies but applying, and consequently losing, reactive nitrogen from our productive systems can have detrimental effects on natural ecosystems. At the same time, a steep increase in transport and electricity generation has led to an increased level of nitrogen rich particles in the air. This means that reactive nitrogen has gone from being a scarce and valued resource to being a pollutant, affecting human health and at scale, manipulating natural ecosystems, negatively influencing their productivity and biodiversity. “Humans have more than doubled supply of nitrogen in the environment with huge benefits for world food production. Unfortunately, this has also created a whole slew of environmental issues such as freshwater contamination, coastal zone eutrophication, air pollution, climate change and loss of biodiversity”, explains Professor Mark Sutton from Centre for Ecology and Hydrology in Edinburgh, the head of the International Nitrogen Initiative, and coordinator of the International Nitrogen Management System project. The need for a strategic response to human-induced changes to the nitrogen cycle is becoming ever more apparent with rapid urbanization. The growing importance of food production is leading to increasing levels of nitrogen lost on fields and in contaminated groundwater, while nitrogen-rich sewage frequently leads to polluted rivers high in reactive nitrogen and a plethora of other organic nitrogen forms. To address this complex challenge and to inform the next generation of sustainable investments across agriculture and industry, the Global Environment Facility has joined forces with a host of partners, including the United Nations Environment Program (UNEP) and the International Nitrogen Initiative, to create the foundation for an International Nitrogen Management System. This initiative gathers and synthesizes evidence that can support international policy development. This strategic investment is all about bringing together scientists to work with governments, businesses and civil society to identify the options for change and to help overcome the barriers. The new partnership reflects the critical need to take the next step: to build the ‘gravity of common cause’ across the nitrogen cycle. For this to happen the science community needs to be able to demonstrate the multiple benefits that this would bring – how a strategic approach to nitrogen and water, for example, would give quantifiable co-benefits for air, climate, stratospheric ozone depletion and biodiversity. Nitrogen fertilizers sustain half the human population alive today, yet so few realize its importance across all aspects of our environment. Only once they do, can we expect that governments and business will be empowered to make the changes necessary. From better water treatment to smart farming practices, this is exactly where the scientific guidance of the International Nitrogen Management System will help.